So, now that Halloween has been and gone, we’re allowed to mention the ‘C’ word! My favourite time of the calendar year. The shops it seems didn’t need to be told twice, and the spooky spiders, creepy cobwebs and wicked witches have been tossed aside in the window displays in favour of twinkly snowflakes, beautiful green trees and frosted snow scenes. Because scarily enough it’s less than 8 weeks away! So, as we’re fretting as to what to pop on our Christmas lists, there’s one thing we need to buy before the big day. Those fabulous little countdowns until Christmas which excites up the children (and us) as we wish the days would creep by that little bit faster until Christmas day. The thing is, long gone are the days where it was a piwece of cardboard where you open the door to find a pretty scene or Father Christmas staring back at you. Since then we’ve been over run with the chocolate variety and now there really is something for everyone out there! So, rather than focus on the normal choccie delights (which I’m sure will grace our household this year anyway! ), I thought I’d investigate what other options there are oout there. 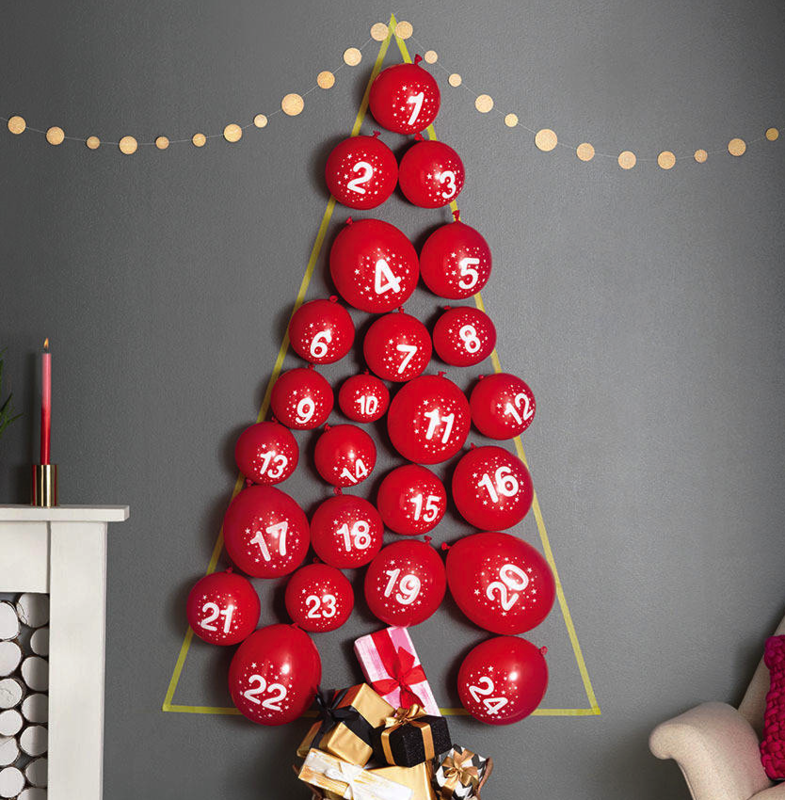 Plus – I’m covering all bases – as surely us adults love a little countown to Christmas too!! 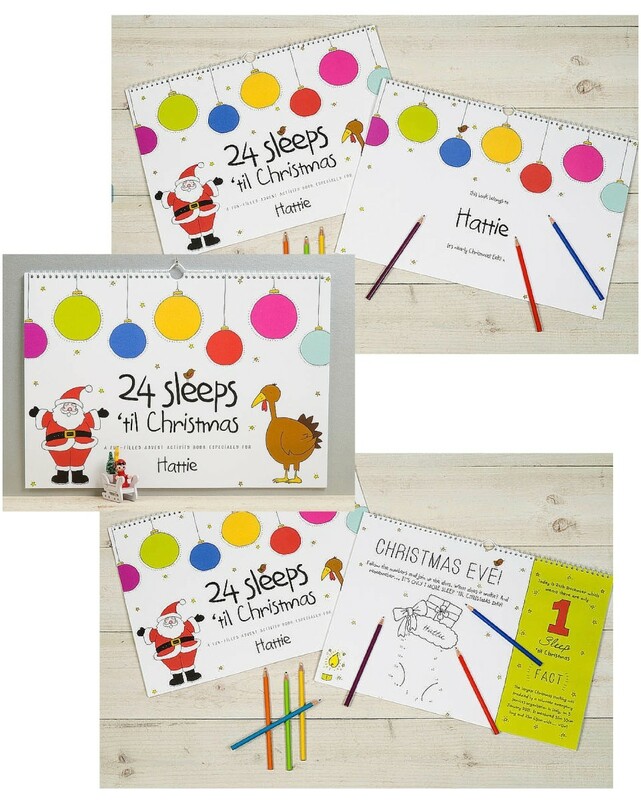 This Advent Calendar And Activity Book by ALPHABET GIFTS AND INTERIORS £18 at notonthehighstreet.com is just perfect for little ones who love to draw and colour. The calendar is personalize, which is a lovely little touch, and would make a beautiful little gift for any kids out there. Every day has a different art or puzzle activity, from colouring, to connect the dots, which I think makes the moment of excitement last so much longer for the children. 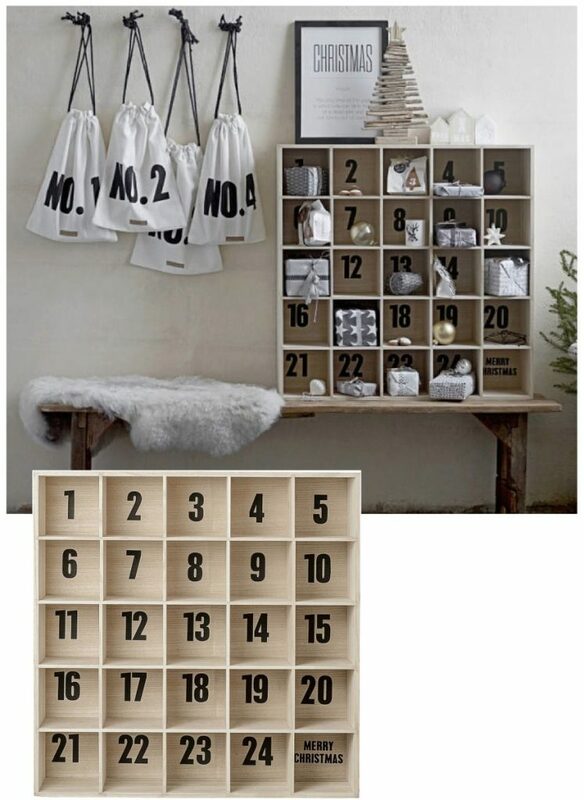 Ok ok, I know it’s a little more pricey than we’d usually spend on an advent calendar, but I just think it’s so beautiful and full of Christmassy rustic charm. It could really become part of a Christmas tradition as you bring it out each year to start the run down to Christmas, and what’s more, it might even serve as a calendar for the whole family, as the pigeon holes are big enough for a fair few treats and surprises. 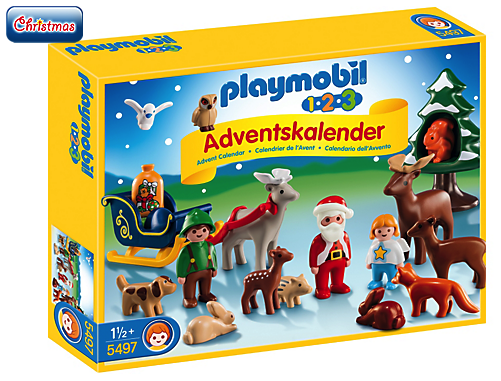 Next up, this really cute 1.2.3 Advent Calendar – Christmas in the Forest by Playmobil £19.99. This is brilliant for the youngsters of the family. Each day has a cute Playmobil character to find and once the calendar is gone, the little ones will still get loads of play time out of the mini Playmobil figures. I know my girls would love this one! I think some of the cheaper beauty options would be perfect for the teens and tweens out there. 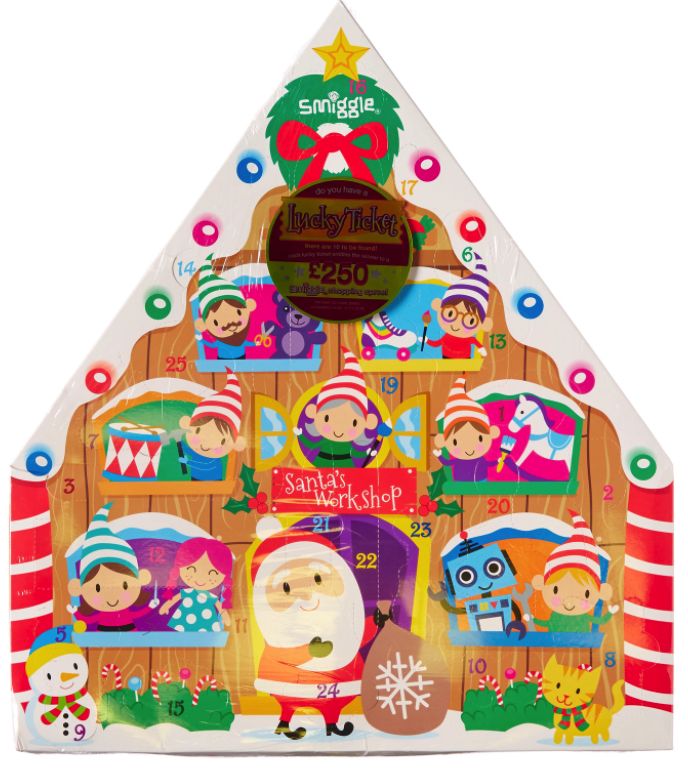 Back to the children – how super cute is this advent calendar by Smiggle at £25.00.Hiding behind every door are surprises such as pens’ pencils, erasers and toys which amount to over £40 worth of goodies! So this is actually a complete bargain! Plus, I love that you are in with a chance to win a £250 Smiggle spending spree if you find the lucky ticket behind one of the doors – it’s just like Charlie and the Chocolate Factory. For real! Can you imagine how much fun your kids would have each day as they search for the correct date and then try their hands at popping the balloon? The kit comes with 24 numbered red balloons, a chocolate for each day plus activity and joke sheet s which you can then cut up and pop into the balloon. But you are then free to add any other little gifts as you please. 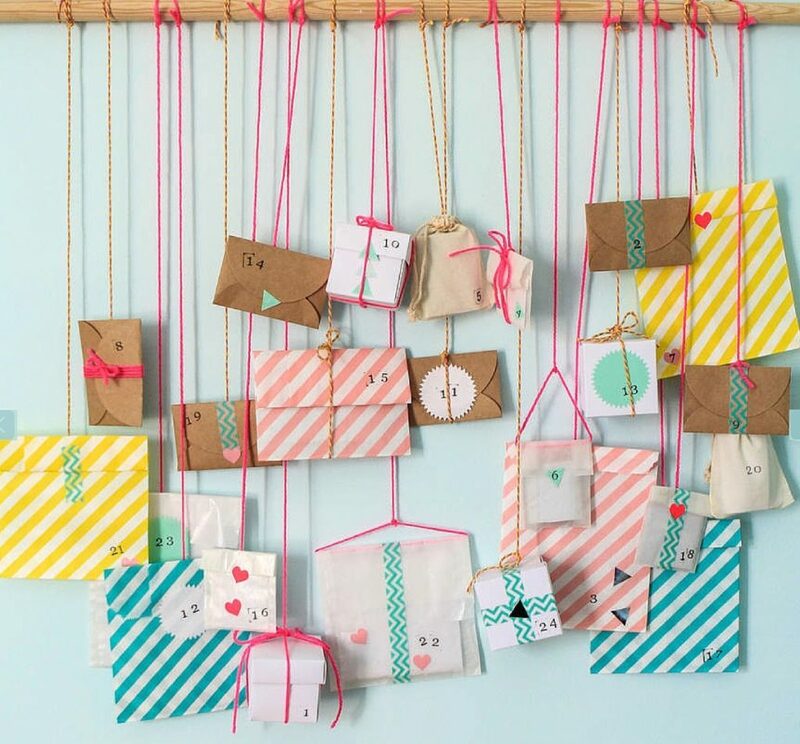 It’s pretty versatile too – once the balloons are all blown up you can arrange them wherever you like. In a tree arrangement as shown, along a stair rail, or you could even dot them around the entire house on a daily basis as a treasure hunt for an even more magical and exciting experience for the kids. 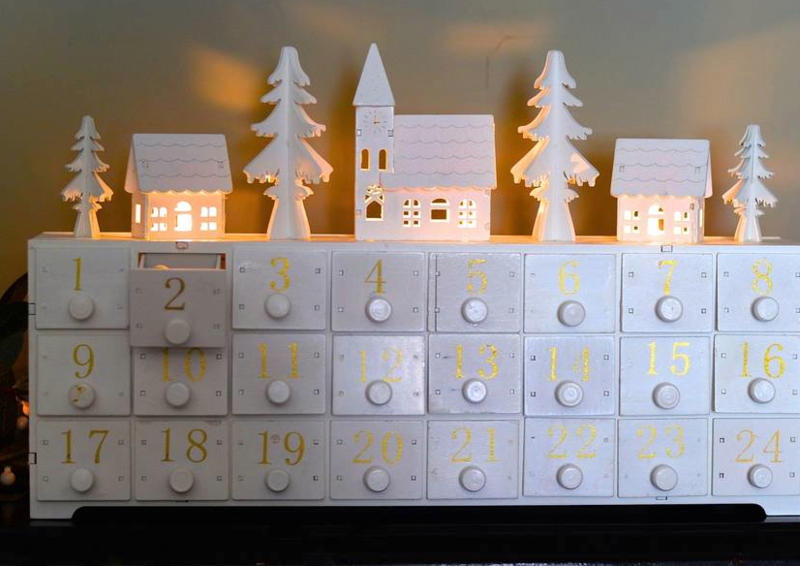 This White Wooden LED Lit Advent Calendar by THE FOREST & CO £29.50 would make a beautiful Christmas display. It’s twinkly LEDs light up the snow scene village making it appear magical to little people full of excitement at Christmas time. Fill the drawers full of lovely little surprises and treats for adults and children alike! This one is for the boys. 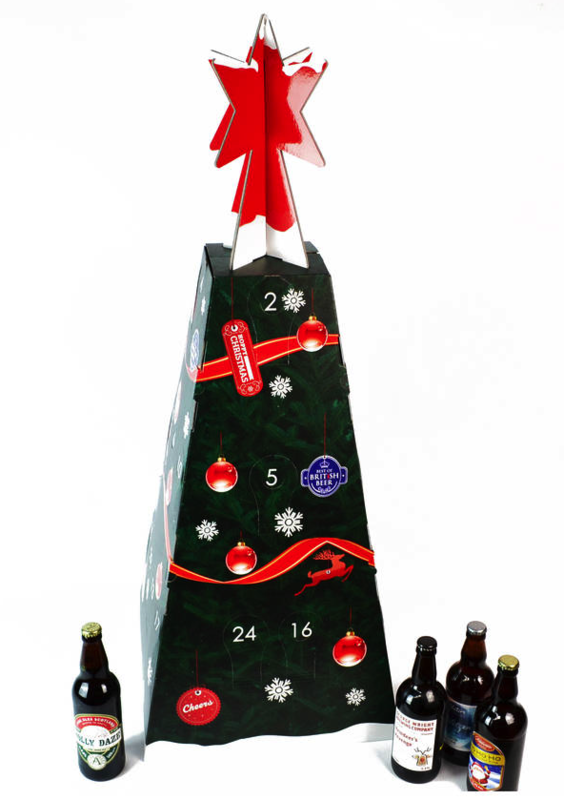 It’s the Beer Advent Calendar by BEST OF BRITISH BEER £115.Again a little pricey, but as I featured the lovely Diptique calendar above, I thought it only fair to give the boys a treat too! 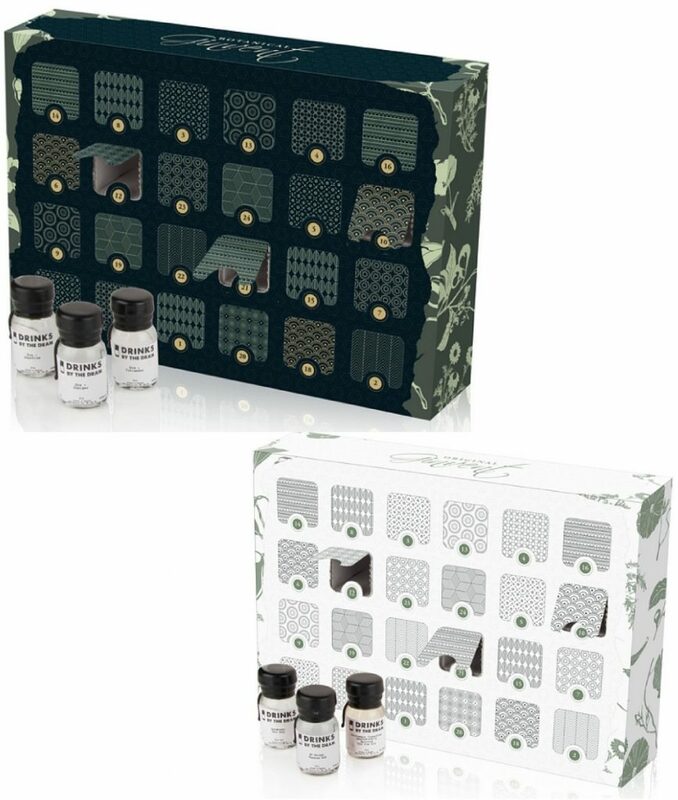 I also thought this Modern Craft Advent Calendar Kit by BERYLUNE at noths.com £22.95. was a pretty wonderful idea too. Once you’ve made the advent display – all you need to do is fill each bag, box or packet with a little surprise and you’re done. Personally I think this would look amazing on one of these…. What do you think? Wouldn’t that be pretty and fun! 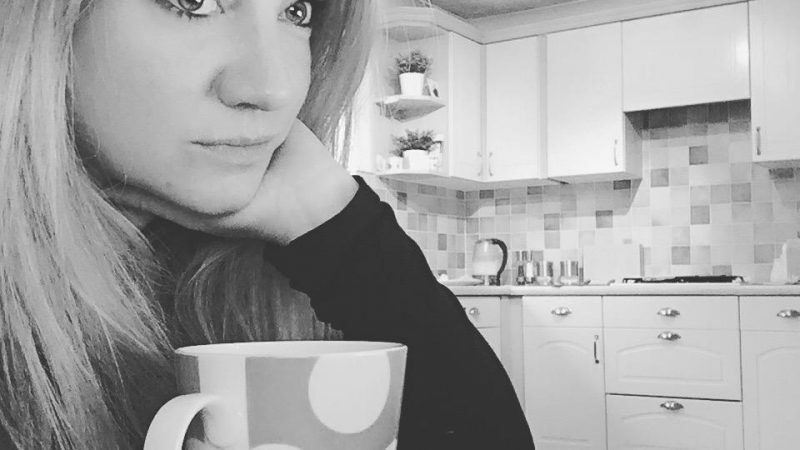 This one I just had to include on behalf of my mum and my fellow blogging friends! I know they’ll appreciate it! It needs no explanation – just mixers! 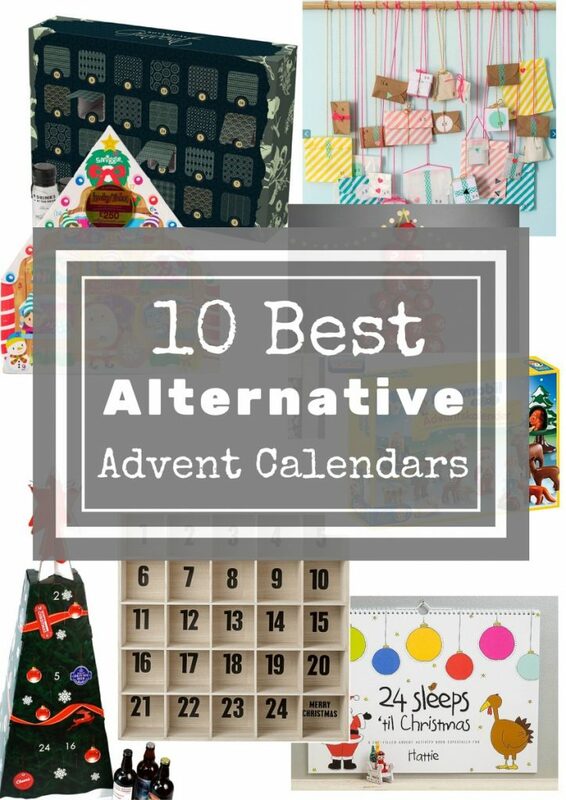 So there you go – a few rather different advent calendar options this year. Amazing aren’t they!! I know that Diptique one was ridiculously expensive, but I loved it none the less. But like you I need a bit more money then. I’ll probably end up buying Cadbury’s!!! Again!! ?? It would be a toss up between the balloon one and the craft one for me. Both are amazing. 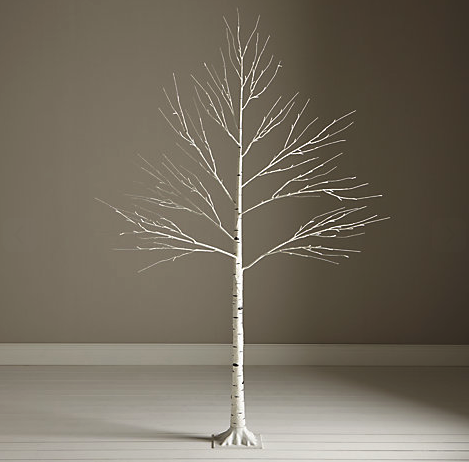 We bough that tree from John Lewis last year too. It looks amazing with little decorations hanging off it. Very cool. This year, because I’m a mean mum, I’ve bought the boys a traditional advent calendar with nothing behind the doors other than a picture. That’s going to go down well, isn’t it?! Just love it, who knew there were so many different types. I just LOVE that Gin one, it is brilliant. We will have chocolate ones and we have one you put little treats in too. Love all these though.